People frequently tell us they want to try something new. When we follow up with them, we often find out they haven't even taken the first step. There's a lot of lip service between what people say they want to do, and what they actually do. We have begin to analyze why. A big and not surprising factor, is that it can come down to jealousy. That's right, jealousy of safeguarding one's time and money! Today, more so than ever before, people want a good return on their investment of time and money. We understand that expectation because we do to! But we also know that people are eager to find new hobbies, interests, passions, whatever...so you do have to expend time, effort and money to find out what you like and don't like. This is where people get stuck. They don't want to spend the money or time on something they might not like---but then again, it could be time and money spent on something they do like. Frustration is an obvious result, as well as feeling frozen, or in limbo, waiting to take that first or next step. We have a few ideas to share that will help people get unstuck and begin to rewire in a cost-effective way. For example, if you want to learn something about 19th century art, you can sign up for a 6 week $600 course at a local museum. But what if after the second class you discover it isn't what you wanted to learn. Now that's a problem; you're thinking, money and time wasted. So rather than running the risk of being disappointed and a little poorer, people convince themselves to do nothing. We understand their reluctance because time and money are both precious commodities, especially today. But wait. How about managing your risk with a free or low cost seminar before you take the plunge? Now there's an opportunity. You would be amazed at the number of free lectures, seminars, classes, and other offers on the internet. Take a look at some of the GROUPON offers...or offers coming through Amazon.com. Some people automatically use them, and others automatically click them off! We say look before you delete! Your future fun could be lost once you hit that delete button! Museums offer free lectures that are excellent and inspiring. You can meet like minded people interested in the same topic that you are pursuing, or if you are feeling like a hermit, you can learn new and exciting things on -line. How you choose to experience new things is your call...but our point is that there are FREE things to try before you plunk down your hard earned cash. You just have to do some investigation to find one that fits your interest. It's a great way to "try before you buy." These type of offers can get you started on a rewiring path to a new interest or an old one that you want to rekindle. How do I do it? Just go to your browser and type Free Seminars and your city or town name. Then see what pops up. Usually the local newspaper or magazine has a listing. Do it now---your future is waiting. We've attended several weddings over the past year ,(each one more unique and fabulous than the last!) and at each event we met people who were either close to retirement age (which was defined by them as being between 60-72), or were retired already and wondering what's next? Each man or woman, whether we were sitting and waiting for the ceremony to start, enjoying a glass of champagne or out on the dance floor, yes, even on the dance floor, we were tracked down, and questioned about how do you get it right in your next act? These people were not panicking, but they admittedly were nervous about the future. The general theme was: "Everybody tells you to save money----ok, we've done it. We know where we want to live; we want to stay right where we are but travel more. But the media makes the future sound easy, but let me tell you I'm no kid and I've discovered that I'm more than a little scared." We didn't want to turn the wedding into a focus group, so we kiddingly said, "One of the greatest obstacles to rewiring is ourselves. Everyone needs to get out of their own way." We put together a list of obstacles that can lead to emotional paralysis. Sometimes by acknowledging our own reality we can overcome these obstacles. 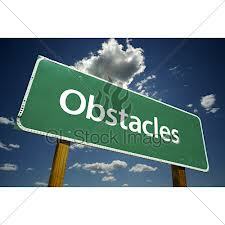 If the obstacle is deep seated enough it may require counseling. Do any of these apply to you? Either way getting over the obstacle can lead to a fulfilling and joyful future. Isn't it worth trying!!! 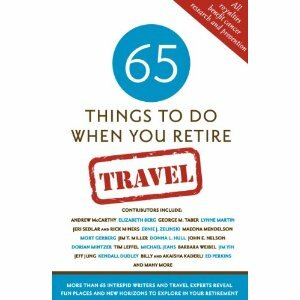 65 THINGS TO DO WHEN YOU RETIRE: TRAVEL is a new book of travel essays edited by Mark Evan Chimsky. We are delighted to be contributors of a REWIRE! travel essay. All profits from the book go to fund Cancer research and prevention. It is a wonderful opportunity to learn about travel and make a contribution to a worthy cause. Here is what is being said about the book: "A total of 10,000 people turn 65 each day -- and many of them who retire want to make the most of travel opportunities. 65 Things to Do When You Retire: Travel offers practical, inspiring advice about how to have the time of your life, whether traveling with a group, with a spouse or partner, or on your own. More than 65 intrepid writers and travel experts reveal their own personal adventures and describe glorious getaways for retirees, including such exciting travel opportunities as international house-sitting, going to Italy for a writing workshop, volunteering to help communities in developing countries, doing archaeological digs, taking a retirement "gap year," and chucking it all to see the world. Readers will discover how to plan for their own "great escapes," whether it's a trip to a lodge and spa in Wyoming or to a sacred pilgrimage in France." The previous book, 65 Things to Do When You Retire, was recently hailed by The Wall Street Journal as "[one] of the year's best guides to later life...Reading the essays in Mark Evan Chimsky's 65 Things to Do When You Retire is like having your own brainstorming session with 65 highly knowledgeable men and women of a certain age and many different walks of life. The collection is full of candor, humor and wisdom." If you want some great travel insights, get this book. It's a great read with wonderful thought-starters. If you already know where you want to go, it is a great guide. If you are not sure where to head, you will get great ideas. 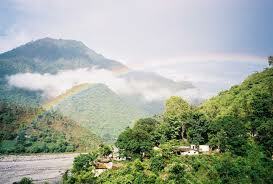 And for the armchair traveler, who never wants to leave home, you will get something to stimulate your imagination. It seems that everyone we speak with acknowledges that they are living in a world of extreme ambiguity and uncertainty. Many boomers are sandwiched between caring for parents and children and grandchildren. The social exhaustion of party politics and the presidential election has people deleting political apps and turning their backs on the media. Even the media is tired of the media. Financial uncertainty, the continuing housing crisis, and endless statistics that blind us are the icing on the cake. A close friend asked us, “What do I do now? Should I just go and hide.” It is a tempting thought, but there is a better way to rise above the fray. Rather than hide, go and REWIRE! Cast aside stress: If you REWIRE! only one leisure activity in your life, you will begin to see the benefit rather quickly. Leisure at it’s lowest level is a diversion. But don’t settle on distraction. Go to the point in the activity until you find pleasure in it. But don’t just be pleased. Continue to the highest level where the activity provides meaning and purpose as well as pleasure. It is the place where time doesn’t exist. Three hours seems to be three minutes. You will know when you find it, because you will be enjoying challenges, using your skills or acquiring new ones, and you will be connecting to others in a fertile community of activity. It personifies fulfillment. We decided to tackle a totally new endeavor---Opera. No we are not singing, but we are learning, traveling, meeting new people, and importantly using our curiosity to propel us to learn,, marvel, and lust for more. We are fulfilling one of our most important DRIVERS: continuous learning. We kick started it by taking Opera Boot Camp offered by the Metropolitan Opera Guild. It was a commitment of an hour and one half over a period of 4 Saturdays at a very minimal cost. It has begun what we believe is a life long love affair. It doesn’t have to be opera or any cultural activity. Perhaps it is a sport, or a hobby, or an interest in something that you have always wondered about. Give yourself a gift. Take the time, make the effort, stand back and be wowed by how you feel and what you learn. REWIRING sure beats the drudgery of daily stress and the ambiguity of life!